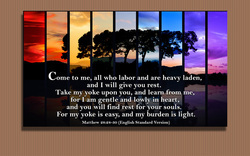 Come to Me, all you who labor and are heavy-laden and overburdened, and I will cause you to rest. 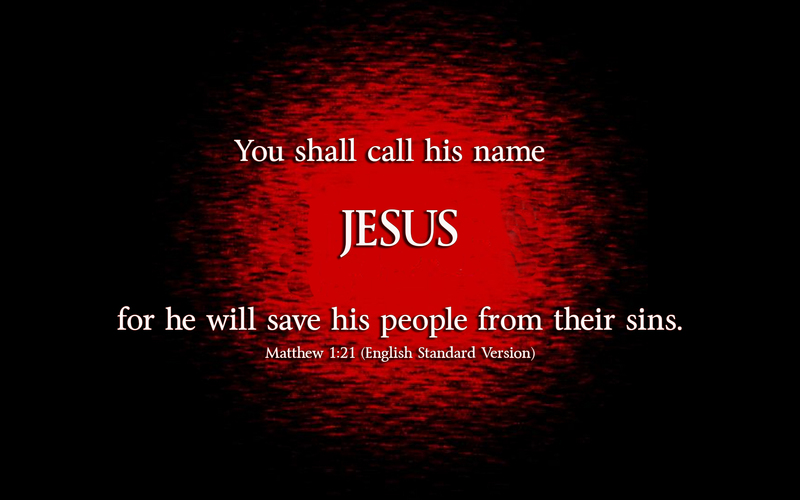 [I will ease and relieve and refresh your souls.] 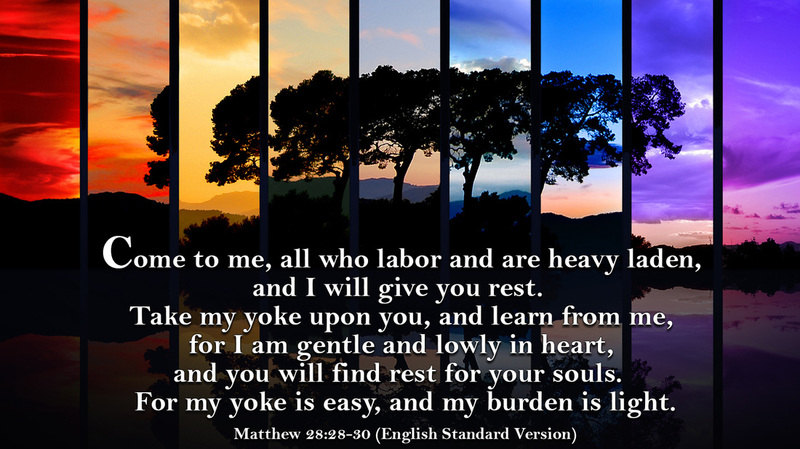 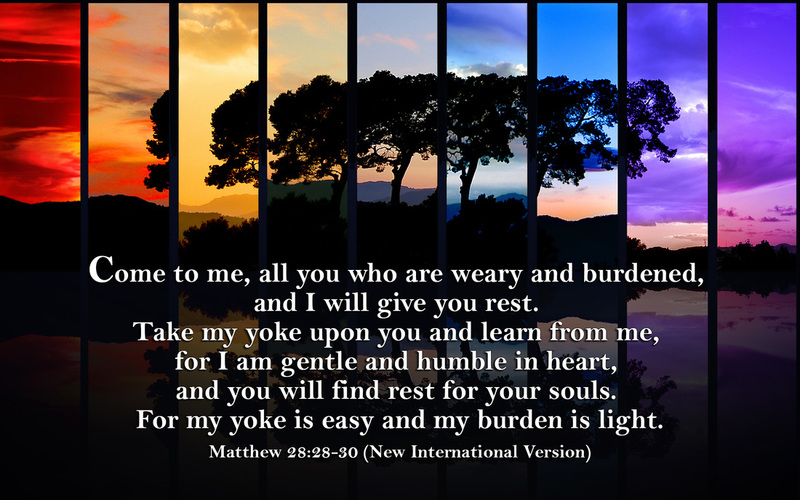 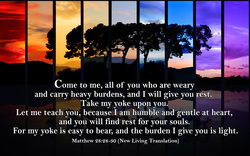 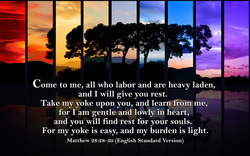 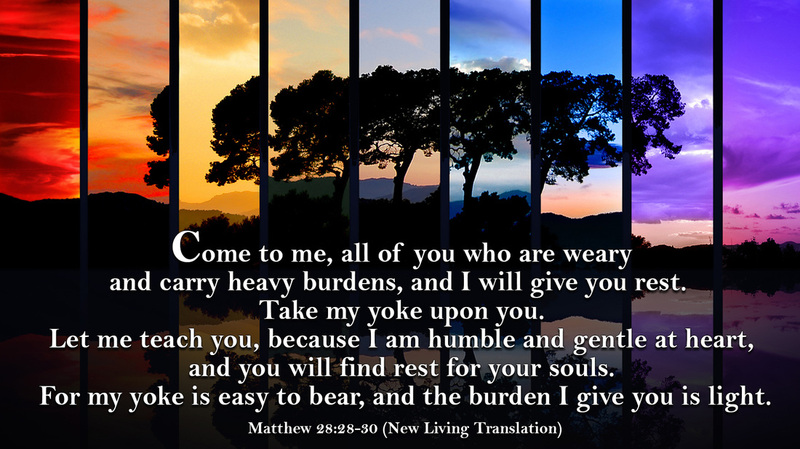 Take My yoke upon you and learn of Me, for I am gentle (meek) and humble (lowly) in heart, and you will find rest relief and ease and refreshment and recreation and blessed quiet) for your souls. For My yoke is wholesome (useful, good—not harsh, hard, sharp, or pressing, but comfortable, gracious, and pleasant), and My burden is light and easy to be borne.